← Are intact cats better hunters? Perhaps I’m being a bit naughty and disrespectful but the image did catch my eye and I couldn’t resist publishing it on this website (some amusement is necessary). It is rather strange looking. Perhaps someone can comment (it’s photo-edited perhaps). I don’t want to add much in the way of words because this page is about the image. This cat is clearly unneutered 😉 Didn’t need to say that! But it does beg the question, Why? There is a argument that says that all domestic cats should be ‘fixed’ to limit the number of domestic cats in the world. 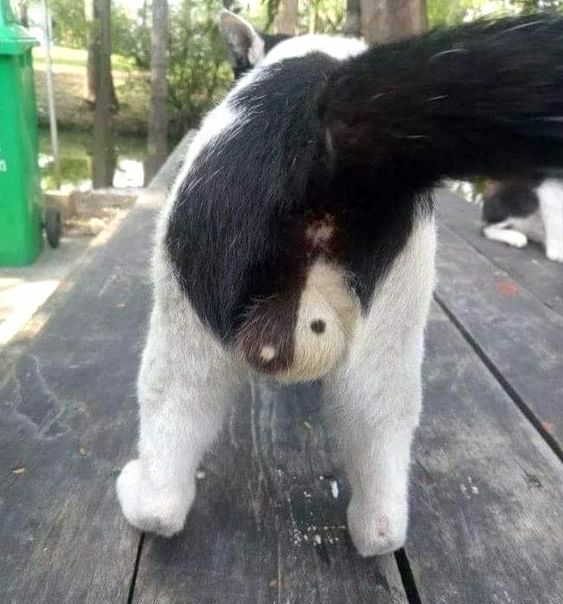 The Yin and Yang of Feline Testes. Photo in public domain. There are still many cat owners who do not want to sterilise their cats. When I look at my male cat I feel sorry for the fact that I had him neutered. I really do, but by feelings are misplaced. It had to be done. In my case the rescue centre from which I fostered him insisted upon it in the contract; fair enough. This is common. This entry was posted in neutering and tagged cat anatomy, cat coats, feline testes by Michael Broad. Bookmark the permalink. I’m not a PhotoShop user but I have looked closely at altered photos before, and upon inspection I do see some of the clues of what happens when you do changes. There are circular patterns that occur when you select an area and change it. They show a lightening of color, in this case the color brown rather than black, and blurring. 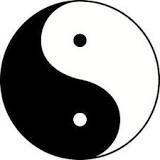 I see overlapping colors or bicolor hairs where they appear to be brown at one half of a hair and white at the other. Hairs typically are only one color from the base to the end. When you sample a whole suspect area and compare it to another area close by and see differences like that, it makes it more obvious. Also obvious is that the overall pattern simply would not show up in nature, especially the brown spot and white spot.